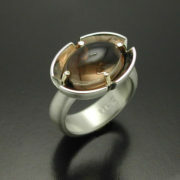 Cabochon Cut Smokey Quartz Ring in Sterling Silver and 14kt. 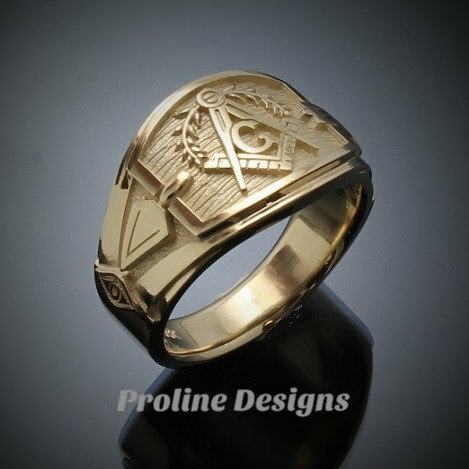 gold prongs. 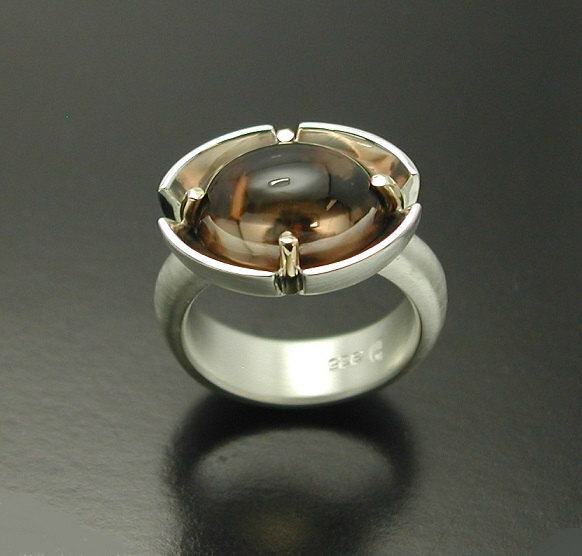 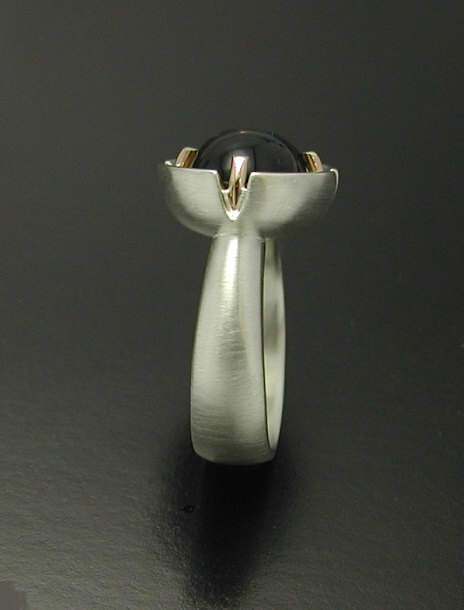 All creations are custom designed, hand cast with solid sterling silver, and individually polished.
. * The 10 X 14mm oval cabochon cut smokey quartz is held in with solid 14kt.yellow gold prongs. 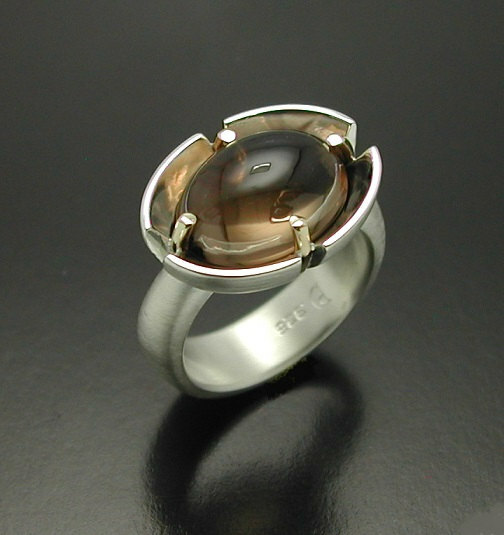 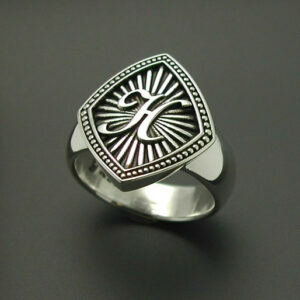 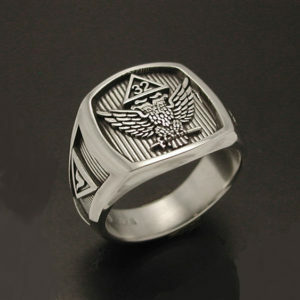 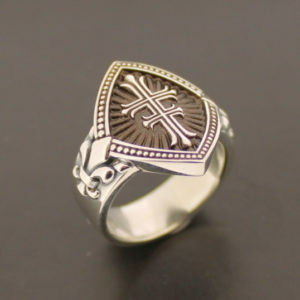 *All rings are cast in Sterlium Silver unless otherwise noted. Sterlium is a new and exciting alloy that offers the following benefits. 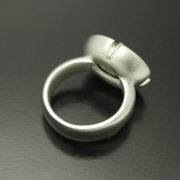 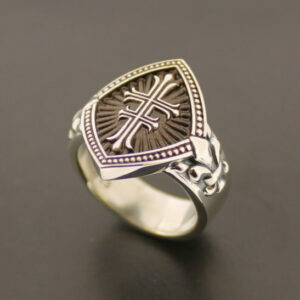 *The same precious metal content as traditional sterling silver. 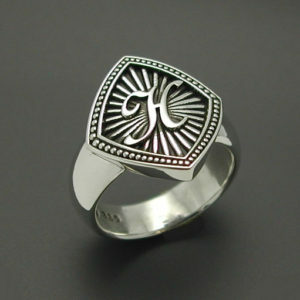 *Maintains a bright white color. 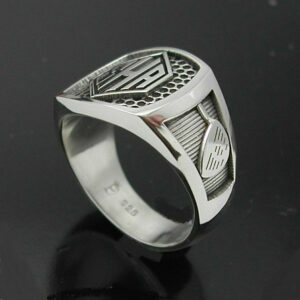 • International shipping generally takes about 12-14 days. 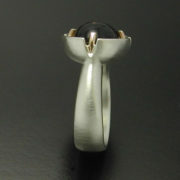 This time is added on top of the 15 working day production time. 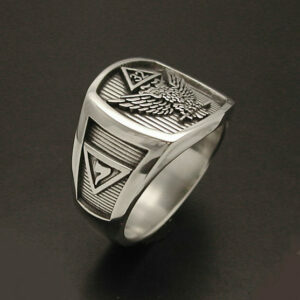 Please allow two to three weeks’ time for international orders. 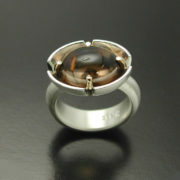 Thank you for your interest in our products. 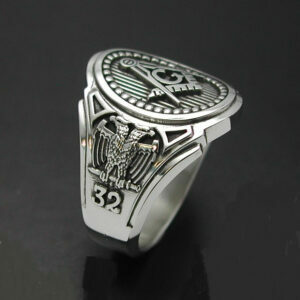 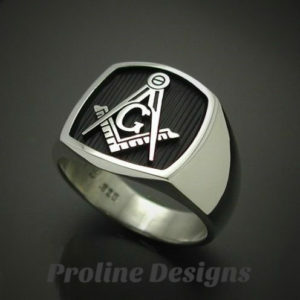 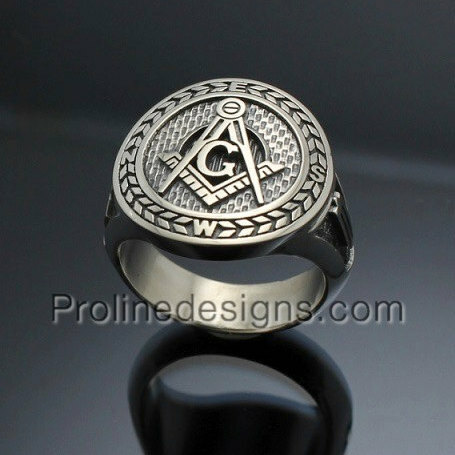 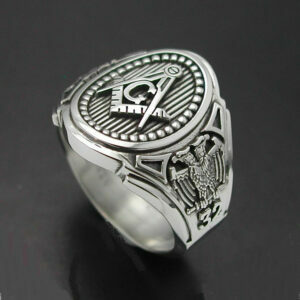 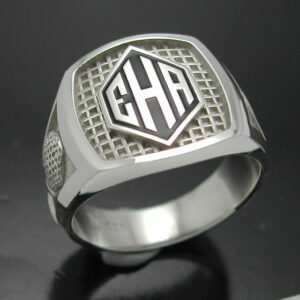 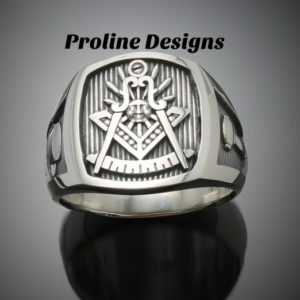 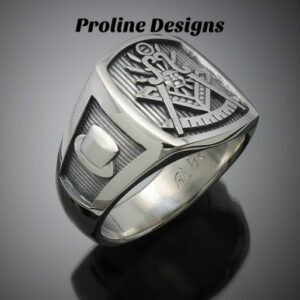 Men's monogrammed golf style ring oxidized. 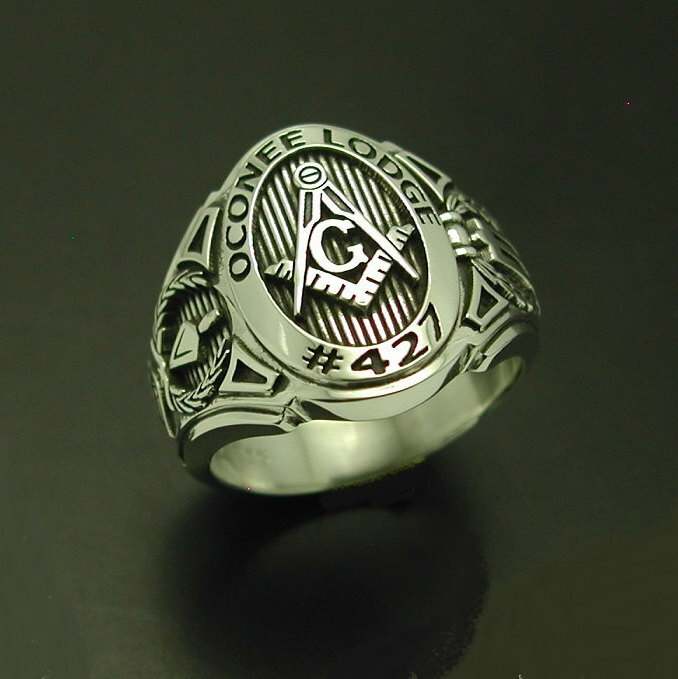 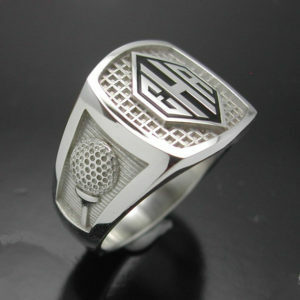 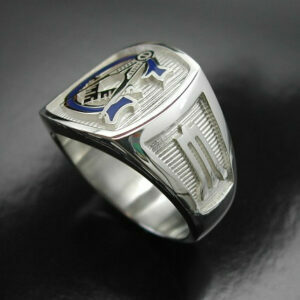 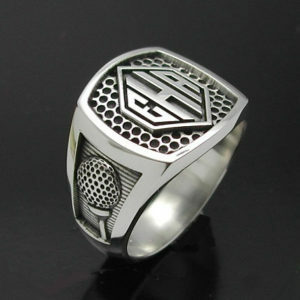 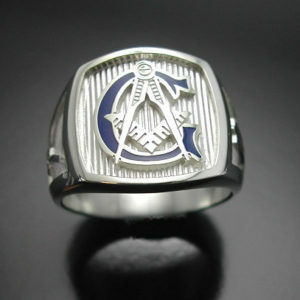 Men's monogrammed golf style ring.